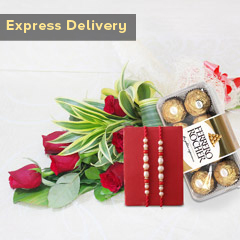 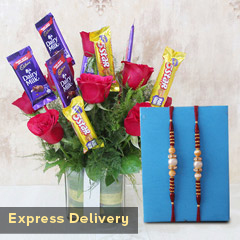 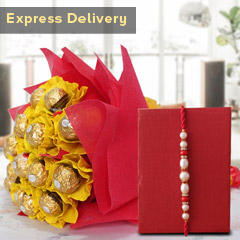 Are you planning for a last hour Rakhi gift order for your far-flung brother? 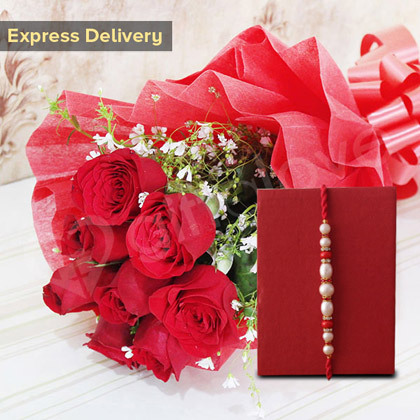 No worries….This one is definitely going to help! 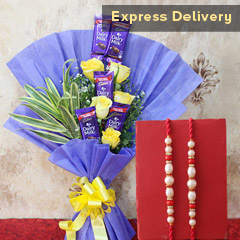 We have this complete combo of flower bouquet and one beautiful Rakhi and will definitely be a refreshing way of wishing your brother. 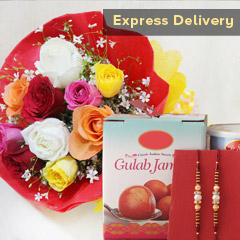 Don’t make any further delays in placing your order!